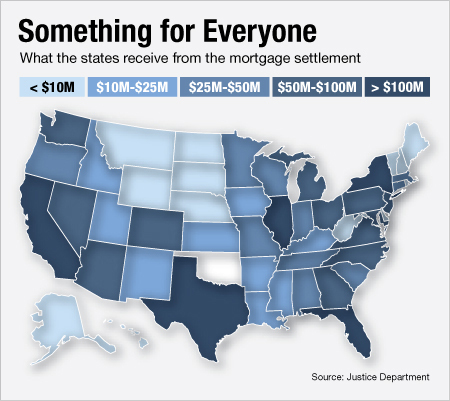 Mortgage Settlement: What To Do With The Money? 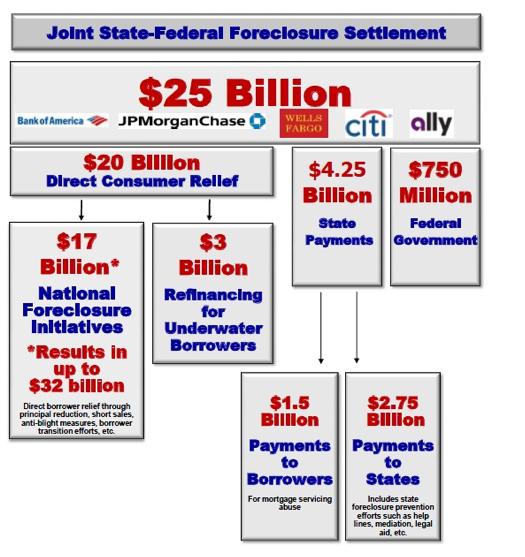 Eventually, the attorneys general of the states got their settlement from the big banks–at least $25 billion. That’s a lot, of course, but it will be spread out over all involved states and may take forms other than direct cash infusions. The big question is what to do with the money? Should it go, as housing advocates had assumed, to help struggling homeowners facing foreclosure? Or, should it go, as strapped state officials are maintaining almost unanimously, straight into general fund coffers to make up for some of the terrible cuts about every state has had to make? Taking into account credits designed to encourage the banks to make payments to homeowners, California’s share of the settlement could climb to as high as $18 billion, by far the the biggest cut of the money when all is said and done. How eerily predictable-California’s recalcitrant budget deficit, created largely by the downturn or rather avalanche of falling home prices and thus property tax revenues–has recently been discovered to be $16 million… How fortunate…at least in the eyes of Jerry Brown who is vociferously insisting that the bulk of the funds should go to the State of California. Who Should Get The California Money? Although at first glance it may seem that, of course, homeowners should get the money, both points of view have strong arguments in their favor. The pro for the homeowners getting the money is that, simply put, homeowners are for the most part the victims in all this. Yes, many homeowners knew in their hearts they couldn’t make the payments and, yes, some lied to get stated income loans. Each loan could perhaps be justified as the lenders were using all sorts of rationalizations to persuade any reluctant homeowners to purchase. Home values will go up. In a year or two you can refi and lower the payment. These are just two common refrains. On the macro level, though, homeowners who unfortunately bought or refied their homes during that crazy 5-year window from 2002 to 2007 are almost all underwater no matter how scrupulously they kept their finances. That is not their fault. At this point, some 345,000 mortgages are delinquent in California with even more homeowners underwater but still valiantly making their payments. Should these people be given some kind of help from the settlement money? Principal reduction, perhaps, or maybe lower their interest rates? Or, should some just have their debts wiped off the books? At the moment several foreclosure-prevention bills are bogged down in the state legislature. At the very least argues Kamala Harris, the CA Attorney General who fought so hard to get the settlment, homeowners need a Bill of Rights and banks in California must be more efficiently regulated. So she and her allies are pushing hard to solidify the reforms promised by the mega-banks so this housing debacle does not happen again. On the other side, predictably, are those very mega-banks which do not want to be so regulated along with those who, to be fair, are fearful that the tiny improvements that California housing is making could be stunted at birth. So, a rare legislative conference committee has been called to reconcile the two sides if possible. Meanwhile, Gov. Jerry Brown is pushing to use some of California’s share of the $25-billion national mortgage settlement to plug holes in the state’s budget. Actually, he has a good case and he’s aiming high; he wants a big share of the money. A major portion of the budget woes came directly from losses when expected revenues failed to materialize. That revenue is primarily property tax revenue, going down every year since the great recession began, and income tax revenue, which also is failing primarily due to unemployment, especially in the construction and housing sectors. After years of cuts, the budget is already down to the bone. We all know that education and social services have been eviscerated. How can we cut more? The state relies on property tax to serve the needs of all its citizens. Without that money, many of our most needy, primarily children, the disabled, the unemployed and the old, will suffer horribly. Too, it must be remembered why the attorneys general were going after the banks in the first place. That is a complicated story, but boils down to a failure to pay transfer taxes as required by real estate law. The states lost massive sums of tax revenue because the banks were churning the titles to properties, slicing and dicing them into mortgage-backed securities electronically and not paying the transfer tax and recording required every time a property changes ownership. Both sides have good arguments in this debate over that giant pile of money. Since this is the case, the most likely scenario will be a compromise between the two sides. The bulk of the money, though, should go directly to the those who most need it–the citizens of this state who lost out on tax revenues due to machinations of the big banks. That is to say, the money should go to pay down the deficit and get California back on track for the first time in over 10 years. 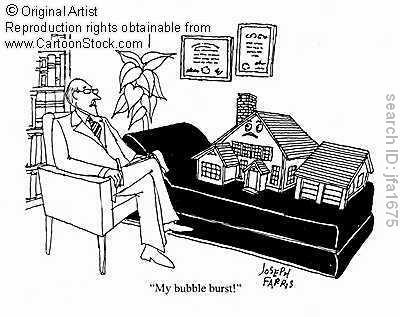 Just when we think it’s getting better, the news comes out that we are in for a double-dip in housing prices. Last year in 2010 things were starting to look up in many municipalities as sales were brisk and housing prices were even starting to inch up again. This year, though, the situation has turned from hopeful to grim. Now it appears that the price increases of last year were mainly due to the home buyers’ housing credit extended by the U.S. Congress to buoy the market. Buoy it they did, but now we’re in for a let-down. In September of 2010 as the last of the home buyer credit buyers closed on their properties, housing started to slide. Of course, it’s natural for sales of homes to slide after Halloween and throughout the winter, especially in cold-weather states, but this year’s slide began earlier and lasted longer. Compounding the problem was the “robo-signing” scandal which halted foreclosures for several months last fall. Regular sales and short sales continued to pile up as inventory on a stagnant market, then the banks resumed their foreclosures. Foreclosures hit at perhaps a more rapid rate as banks rushed to close out their books at the end of the year. 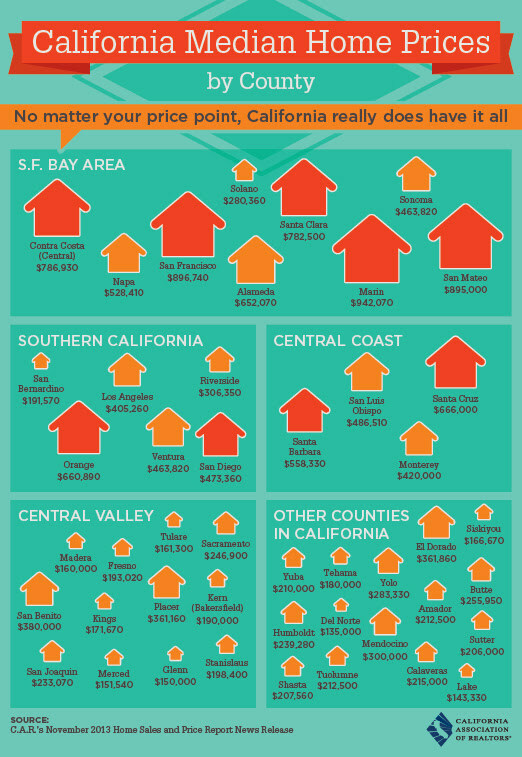 Now, at the end of February, here in Southern California we have not only a huge inventory, but I would even characterize it as a glut of properties clogging up the market. 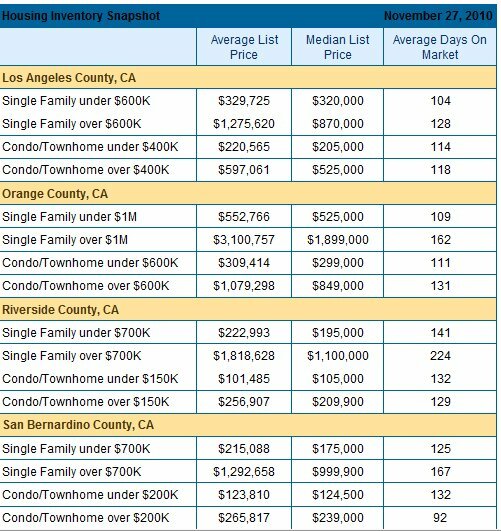 For an analysis of what the near future holds for lending, check out my Pasadena Short Sale Blog. Hint: it’s another downer. All of these factors have played a part in the current housing glut and consequent stasis. The inevitable result will be–yet lower prices as banks, short sellers and those who must sell for one reason or another, all compete with one another for the few buyers out there. 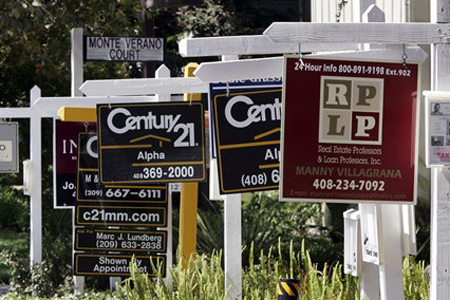 Already this year, analysts have indicated that the scant 2.25% gain in L.A. housing last year has been wiped out. Some experts are predicting that we are in for another dip of approximately 15%. I am not in the prognostication business, but I can say that it’s not looking good. Already from 2006-2008 many cities in five states, California, Nevada, Arizona and Florida and Michigan, according to Federal Housing Finance Agency data, have lost significant value in housing. Starting with Stockton, which lost 75% of its housing value in those two years, the dreadful list continues with Modesto at negative 73%, Vallejo negative 64%, Salinas at negative 60%. These are horrible numbers. 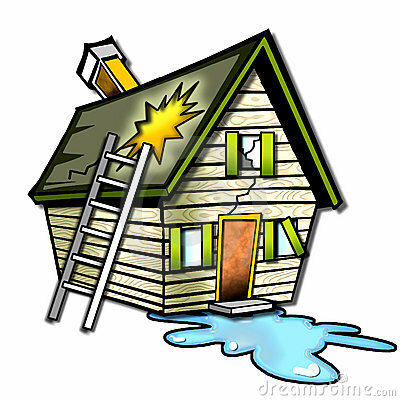 Imagine losing 75% of the value of your home in just two years through no fault of your own! The roll of California cities continues with Riverside-San Berdo-Ontario tied with Bakersfield at negative 47%, Fresno at negative 45%, Sacramento area at 44%, Oxnard-Thousand Oaks at 41%, Santa-Barbara-Santa Maria-Goleta tied with Santa Rosa at negative 40%. The l ist goes on-Oakland area -38%, Santa Ana-Anaheim-Irvine -36%,LA-Long Beach-Glendale -32, San Luis Obispo-Paso Robles -29% and even Santa Cruz-Watsonville lost 29% in two years. That just us. Of course, Vegas lost 54% of its value in those years and is still hemorrhaging. Reno-Sparks lost 41%; Phoenix-Mesa-Glendale was down 31% and is still falling. Then, like California only worse because it has a less diversified economy, is Florida which was and still is a disaster zone. Cape Coral-Fort Myers lost 60% of its value, followed by Naples-Marco Island at 54% negative, Ft. Lauderdale -45%, West Palm Beach-Boca Raton down 45% and on and on. That was the story three years ago. Much as we would like to say it’s getting better, really, it’s not over yet. As indicated in the previous post, foreclosures in judicial states, which all have to be approved by a judge, are starting to run into rough waters as homeowners, frustrated beyond belief at the lack of help from the banks, are increasingly turning to litigation. One sign of trouble was the “robo-signing” disclosures which began in Florida and quickly spread to a temporary nationwide moratorium on foreclosures. Concerned banks did a quick self-investigation, and, not surprisingly, hastily determined that while a few “robo-signers” had fraudulently approved foreclosures, that all others were good to go. Foreclosures then resumed. But, wait. 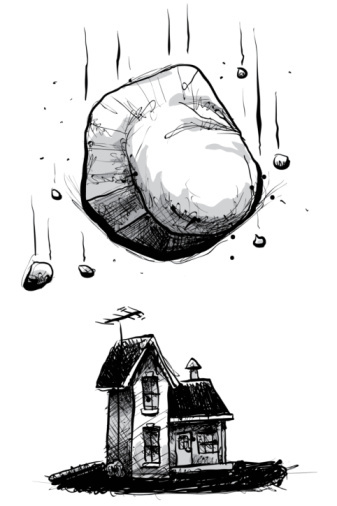 Just last week, Ally Financial suspended 250 foreclosures in Maryland because they had been processed by a robo-signer who had been rubber-stamping as many as 10,000 mortgages per month. Even though Ally expects to eventually refile the foreclosures, the legal challenges will slow the process — which could conceivably give some homeowners the chance to avoid foreclosure. Not so fast, big banks. Traditional real estate law, which as far as I know is still the law of the land, requires that banks have to to produce physical deeds to show that they own the properties they are seizing. Electronic blips need not apply. If the recent Massachusetts Supreme Court ruling, insisting the banks produce the physical deeds, spreads nationwide, banks are in for a rough ride. Because most mortgages over the past decade were sold to multiple owners on the global marketplace, it is no longer clear who is the rightful owner of the loan. How inconvenient that some judges turn out to be sticklers for the actual law! Surreal for the banks, that is, but highly convenient for the millions of upside down homeowners now stuck in mortgage hell and foreclosure limbo. Because California does not require the same judicial review as other states, courts here have typically rubber-stamped foreclosures. But the wide-ranging questions about the foreclosure process are having an effect even here. Last month, Jerry Brown — in one of his final acts as attorney general before becoming the state governor — inked a settlement with Wells Fargo to provide $2 billion in loan modifications to homeowners who were struggling to pay off adjustable-rate loans, as well as $32 million in restitution to borrowers who have already lost their homes. So far, foreclosures in California, which do not need a judge’s approval, are proceeding apace. It is extremely encouraging, though, that in the judicial states the law is starting to be applied. The faster that spreads the better for all of us. 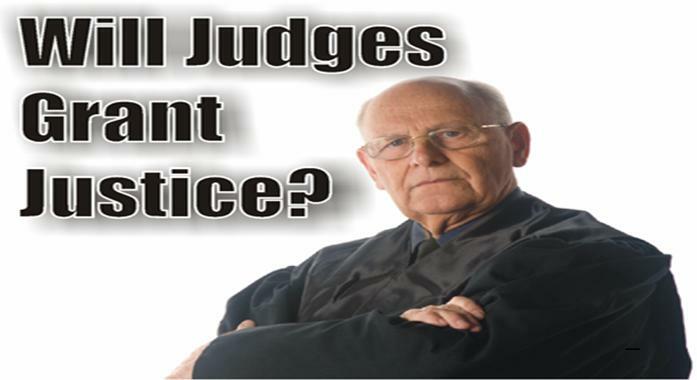 The California judiciary and the legal profession in general are eagerly eying developments. Beleaguered homeowners, too, until now dependent mainly upon the banks’ good will to avoid foreclosure, may finally have found in our long-established law the very tools they need to keep their homes.